Akshay Kumar is not just the kind of actor who plays his character as social changer and contributor on silver screen alone, but he is a real life hero who practices his beliefs in real life as well. Wondering if Akshay Kumar installed Bio-Toilets and spent Rs 10 lakh as a hint for a sequel of ‘Toilet: Ek Prem Katha’? Well, you are guessing it wrong. 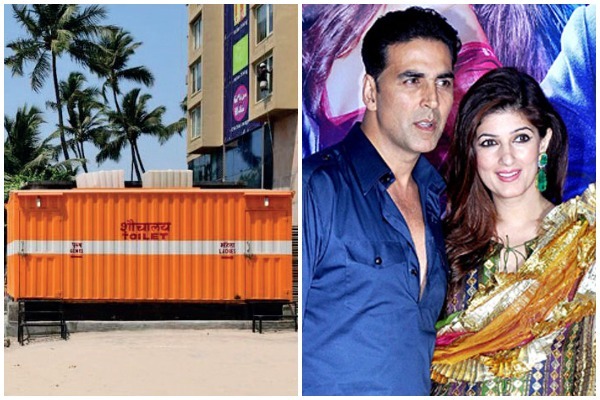 After Akshay Kumar’s ‘Toilet: Ek Prem Katha’ made a blockbuster hit at box office in August 2017, remember his wife Twinkle Khanna had tweeted on public defecation with a picture from Juhu beach? Twinkle Khanna had tweeted a photo saying, “Good morning and I guess here is the first scene of Toilet Ek Prem Katha part 2 #WhenYourWalkGoesDownTheToilet.” Though Twinkle’s tweet was an ugly but harsh reality, many people didn’t like the way she put it on social media, hurting India’s sentiments. The tweet caused a storm on twitter where different people reacted in different ways. Some criticized her for invading privacy, other called her insensitive and lack of sense from being ignorant about slum areas. Eight months after Twinkle had raised a very genuine point about public defecation, her husband decided to contribute for the cause and teamed up with the Shiv Sena leader, Aditya Thackeray. Actor Akshay Kumar installed six bio-tiolets worth Rs 10 lakh at Juhu bach, three for men and three for women. Twinkle Khanna tweeted Aditya Thackeray a thank-you note. “The toilets have bio-digester so there will be no stink. 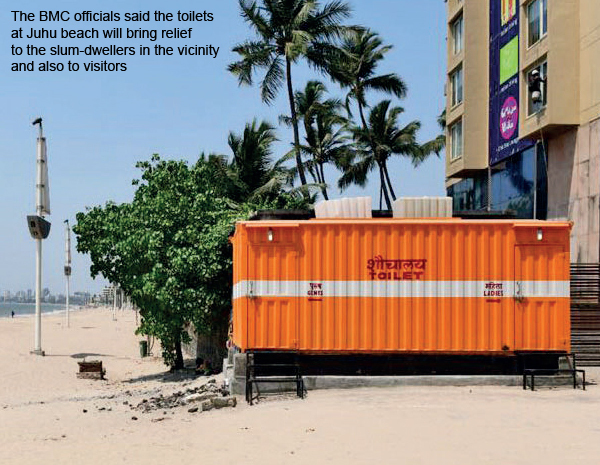 The toilets will bring a lot of relief to not just the local slum dwellers, but also to visitors,” said Assistant Municipal Commissioner, K-West ward, Prashant Gaikwad. Akshay Kumar’s initiative is no doubt a great start towards eradicating public defecation, but we need more such people to make entire Mumbai clean and open-defecation free. Next : Aishwarya Rai Bachchan, Pharrell Williams’ Pictures From Vogue India Photo-shoot Are Drool-Worthy!